Posted: Monday, August 1, 2016. 2:04 pm CST. By BBN Staff: At least three reports have been filed at the Belmopan police station following a series of armed robberies within that municipality. The first was reported by George Varela, 18, who told police that on Thursday last week he was walking by Independence Park around 7:15 in the night. Varela says a male person of dark complexion rode up beside him and asked him for calling credit or two dollars. Varela said he was unable to help the stranger who then immediately pulled out a Black Hand gun and held it to his head. He took Varela’s gold chain and a bluetooth speaker valued at $120 before escaping. A second robbery was reported to have happened on the same night just 15 minutes later. According to 41-year-old Concepcion Alvalos, she was walking behind the Belmopan Library and Brodies area around 7:30 p.m.
She told police that a chubby man of dark complexion rode up to her on a black beach cruiser. He bumped in to her and pointed a black handgun at her while he demanded money. Fearing for her life she handed over $30. Another teenager reported to Belmopan police that on Friday July 29th at about 7:15 that night he was out with a friend in front of the National Assembly building. The 17-year-old says that three men on bicycles approached them. One of the individuals took out something from his waist and pointed it into the direction of his friend while the other came from behind and grabbed him by the throat. 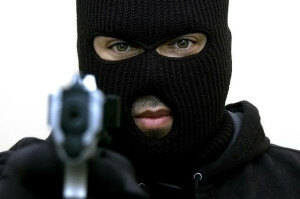 They took away his iPhone 4S valued at $450 and escaped. Police are investigating all three reports.